Långholmen Beach is located in Stockholm, Sweden’s capital city. It is situated on an old prison island that used to be dreaded in the past, but is now known as “Sweden’s Alcatraz.” Lots of locals go here in the summer with their families for swimming, picnicking and sunbathing. 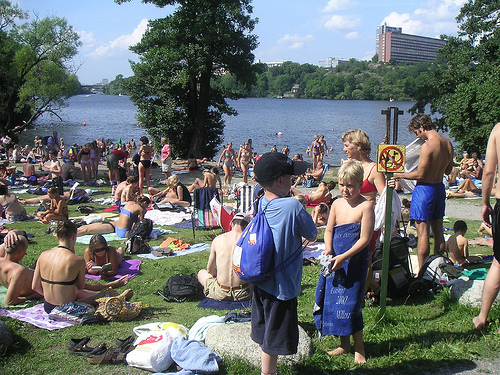 Smedsuddsbadet Beach is also located in Stockholm, at Ralambshov Park Beach. Lots of families make way to this beach and go swimming. This park is a nice spot to get away from the hustle and bustle of Stockholm and relax for a bit. The Sudersand beaches are located on Fårö, which is a tiny island in the Gotland region in the Baltic Sea. 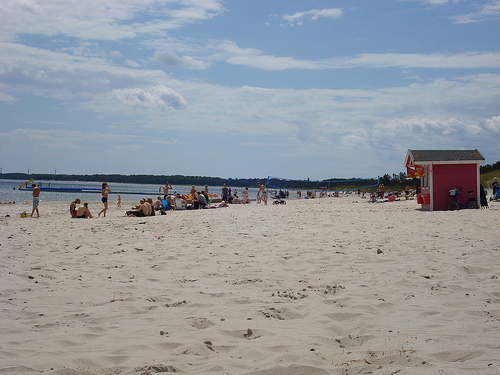 Several different ferries reach this beach from mainland Sweden to this southeastern area. It is a popular place to go windsurfing. Ingmar Bergman currently lives on Fårö, and it has been the location for some footage in his movies. 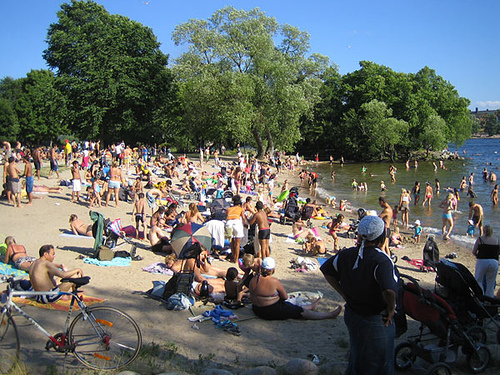 Varamon Beach is located in the center of southern Sweden, and is known to get the most sun out of all the Swedish beaches. It also has soft, yellow sand, so it gets very crowded in the summer. 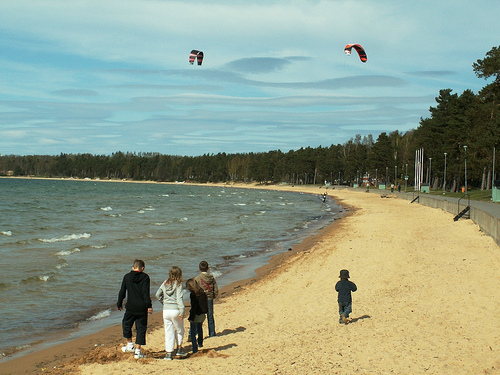 It is one of the largest lake beaches in Europe, and is a nice windsurfing location. 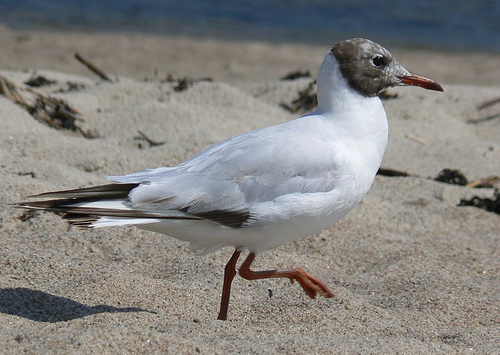 Böda Beach is located on the island of Oland in southern Sweden. This is a long beach that has public facilities, camping, water sports and a golf course. It is a sandy beach that is a popular summer destination. Skåne is the southernmost region of Sweden, and it has a long coastline into the Baltic Sea, full of many beaches that area long and warm. These are relatively easy to get to from Denmark, or from the city of Malmo, Sweden. 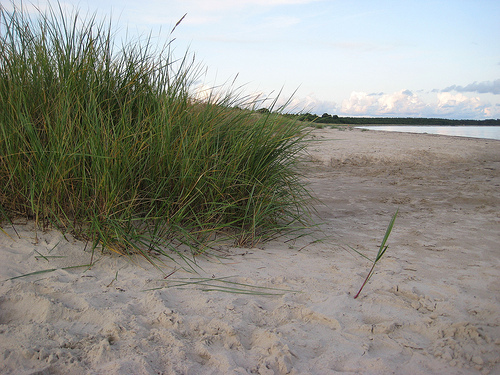 One of these beaches is Sandhammaren, which is at the southernmost tip of Sweden, in the town of Ystad. This beach has nice white sand, dunes and inland pine forests. Because of currents, the waters can be a bit dangerous to swim in, so people should do so with caution.